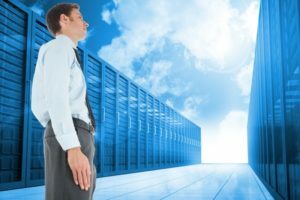 Last year was certainly an interesting year in the data center world, as we saw the ripple effects of the seemingly insatiable demand for cloud computing, emergence of edge computing, and growing interest in the Internet of Things, among other trends. Against this backdrop, I’ve been thinking about what we can expect for 2017 and have come up with a few predictions. I don’t expect demand for cloud computing to subside, which means the Internet Giants will continue to build more compute capacity in the form of hyperscale data centers. Market forces will demand they build these data centers increasingly quickly, meaning 10MW to 20MW projects done from start to finish in less than a year. One key to accomplishing such a feat is the use of prefabricated, modular data center components. Everything from power and cooling modules to IT space can now be ordered ahead of time, built in a factory, loaded on a skid or installed in a container and put together on site. IT equipment can be built in parallel to the facility, installed in racks, then shipped to the site and quickly rolled into place. This equipment may even be designed to operate at temperatures that match the ambient temperature of the site location, dramatically minimizing cooling requirements, reducing complexity and improving efficiency. Edge computing will continue to grow in importance as companies increasingly host applications and IT equipment outside of their own data centers, using cloud providers of various types. 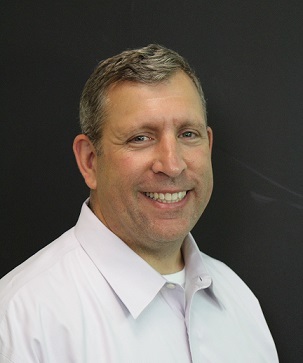 The trend will put the focus on issues including latency, availability of adequate bandwidth, security and meeting regulatory requirements regarding where data needs to be hosted from a geographic perspective. Edge computing can play a role in addressing each of these concerns. Expect to see products emerge specifically for small data centers that have redundancy and security features built in. Increasingly, the IT equipment in our data centers will adhere to emerging standards intended to promote scalability, reliability and cost-effectiveness. The most prominent such effort, the Open Compute Project (OCP), has developed standards for servers, storage and networking equipment that have seen significant adoption. My final prediction is that lithium-ion (Li-ion) technology will play a significant role in data centers, almost certainly with respect to UPSs and possibly for long-term energy storage. With respect to UPSs, Li-ion presents several benefits as compared to traditional valve-regulated lead-acid (VRLA) batteries that we’ve been using in UPS systems for decades. Li-ion batteries provide more power in far less space, and can tolerate a much larger temperature range than VRLA batteries. They’re also easier to manage because they support sophisticated monitoring systems, and they last longer. There’s a lot to like, so much so that it seems inevitable that we’ll be seeing lots more li-ion-based UPSs in data centers (and elsewhere) in the near future. I also see li-ion technology playing a role in helping data center operators reduce costs for electricity. I expect large-scale li-ion battery arrays will emerge that enable users to store power from renewable sources like solar and wind for use at later times. Or, users could charge the batteries late at night, when the cost of electricity is lower, and use the power during peak demand times. 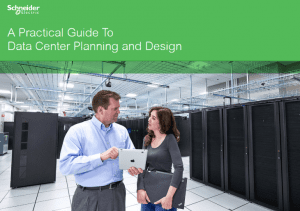 If you’re planning your own data center project this year, be sure to check out the free Schneider Electric e-book, “Practical Guide to Data Center Planning and Design.” It’s full of tips on how to ensure your project is successful. And of course, best wishes for a healthy, productive 2017. Going green on energy could be a big move! How do you see open compute in edge computing space. The DC power supplies smaller in size and more efficient can find space in edge computing?